PLEASE NOTE: DISCOUNTED PRE-EVENT TICKETS ARE NO LONGER AVAILABLE FOR PURCHASE. WALK UPS PERMITTED BUT ARE REQUIRED TO PAY STANDARD MUSEUM PRICING OF $17.00 PER TICKET AT FRONT DESK. MUSEUM IS OPEN TO GENERAL PUBLIC AND HEALTHY KIDS FEST PROGRAMMING IS ACCESSIBLE TO MEMBERS AND WALK UPS PENDING SPACE AVAILABILITY. Join Philadelphia Media Network, publisher of The Inquirer, Daily News and Philly.com, for an exciting day of fun, facts & fitness for the whole family. When: Sunday, September 18, 11:00 a.m. - 3:00 p.m.
Philadelphia Media Network's Healthy Kids Fest is an exciting day-long celebration of ideas, resources, and activities to enrich the lives of children and their families. All will enjoy access to the Please Touch Museum's fun-filled, completely hands-on exhibits that promote creativity, imagination, deductive reasoning, and critical thinking through six interactive exhibit zones, four interactive imagination stations, plus over 30 exhibitors, all across 157,000 square feet. Join the region's leading music and movement provider for 15-minute classes of interactive entertainment. When childen sing or play music, they become better readers, thinkers and learners. Studies demonstrate that mental mechanisms that process music are deeply entwined with the brain's other basic functions, including perception, memory, and language. Start your engines! Your little ones will have the opportunity to build their very own race car using - what else - fruits & veggies, and watch the power of real "fast food" as they race their creations down the track- all while learning what it takes to fuel your body. 12:00 p.m. - 1:00 p.m. - Philly.com "Kids' Health" blogger panel discussion with below contributors. Meet past and present bloggers who represent the best institutions in our region discussing big issues in their practice and what's trending in children's healthcare. *Must pre-register for discounted tickets by Saturday, September 17. Walk ups are subject to standard museum ticket rate of $17.00 per person. 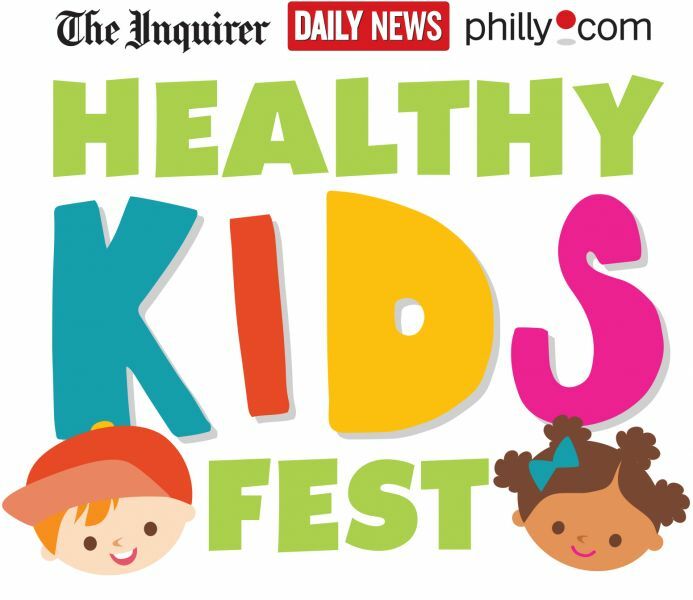 In conjunction with the Healthy Kids Fest, Inquirer and Daily News will be providing expanded coverage on children's health. Reserve space now to get your message in three print opportunities (Sunday, September 11, Inquirer Health Section, Friday, September 16, Inquirer "Do This" Weekend Section and Friday, September 16, Daily News "Do This" Section." Plus! Bonus distribution of September 11th coverage at the event on Sunday, September 18.